Goat milk soap is wonderful for people with dry or sensitive skin, or conditions such as eczema and psoriasis. It is also perfect for healthy skin that wants to stay that way! 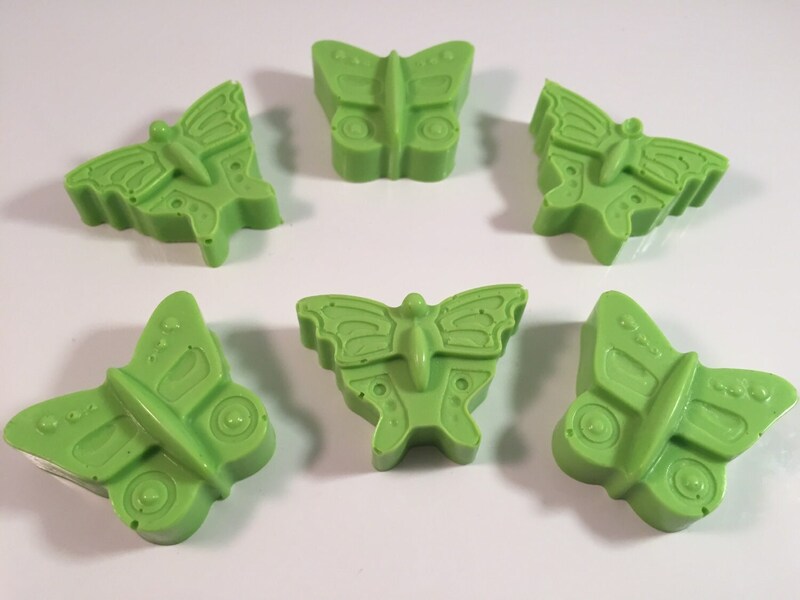 These butterfly soaps make great favors for: Weddings, Bridal Showers, Baby Showers, Housewarming Parties, Anniversaries, Birthdays, Hostess Gifts, special occasions, etc.! 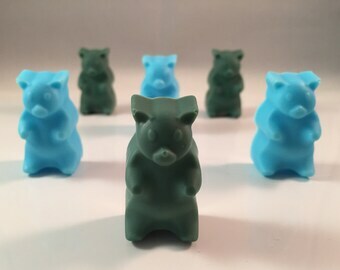 This listing is for one set of 6 butterfly soaps (featuring two different styles), for a total of ~2 oz of Goat Milk Soap. Soap will come packaged in a cellophane bag. Great transaction. Very happy with this item. Bought this as a gift for a friend and they loved it. It smelled exactly like fruit loops which was the scent i selected for her.